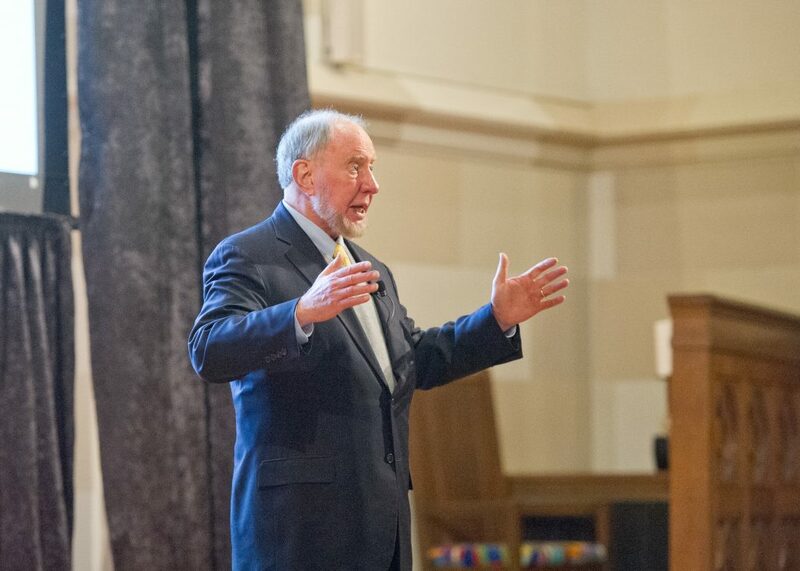 There are few academics of greater stature than Robert Putnam. 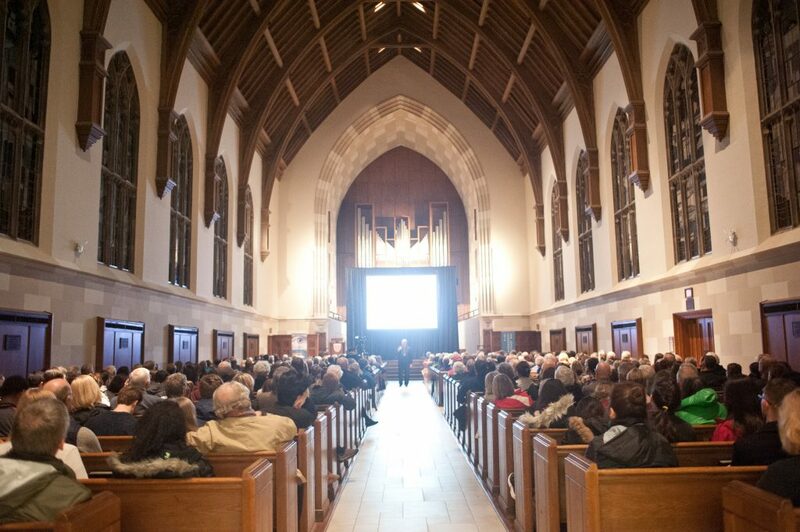 On Monday evening, the crowd that filled Cannon Memorial Chapel learned precisely why. Dr. Putnam inspired us with a talk about what he calls the growing opportunity gap. The idea of an opportunity gap isn’t earth-shattering, but Putnam offered interesting ways to conceptualize and measure the gap. Putnam presented data on test scores and success at university as it relates to income levels (holding other factors constant). Thus, he argued, 29 percent of high test score/low income students graduate from college; while roughly the same proportion of low test score/high income students succeed at university. Academic preparation doesn’t get you very far, it seems, if you are from a low income family. Putnam’s story was compelling and, in some ways, depressing. Building on his previous work on social capital, Putnam showed that children of rich families have much social capital on which to rely as they grow up. They compete in organized sports, play in bands, go to church, and so on. They have mentors in coaches and conductors, and they form trusting relationships with those mentors. Their mentors lead them. By contrast, children of poor families may not have the opportunity play organized sports or instruments; they often lack mentors. Often, they are socially isolated in a world that lacks trust—that lacks leaders they can trust. Putnam closed on a more optimistic note. He suggested that we have faced this schism before, at the turn of the 20th century, when inequality and division were as pronounced as they are today. He opined that a solution may be found today, as it was then. The fix then (and here is perhaps where the biggest difference comes, for our challenges today) was the creation and implementation of an American system of public high schools. This solution helped level the playing field across rich and poor kids, and, at least for a while, solved the productivity gap by raising all or most productivity. It was a step that relied on local leadership, on people in small communities stepping up and working together to address the problem. Of course, we already have high schools. Some of them could use fixing, and many would argue that the variation in quality across districts is a huge contributor to the growing opportunity gap that Putnam points us to. But his basic point that the gap creates an enormous missed opportunity—as we are simply leaving large swaths of our population behind—is important. The crux of the matter is expressed in his book’s title, Our Kids: The American Dream in Crisis. We need to enlarge our sense of “we,” of who counts, of “our kids” to include not only those on our side of the tracks but those who are unlucky enough to be raised in poverty. Putnam pointed to numerous studies and ideas for narrowing the opportunity gap. However, doing so will require leadership and prudence. And this leadership must occur—first and foremost—at the local level since that is where “we” live.